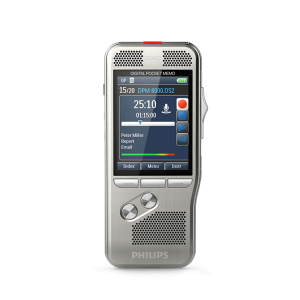 Most people use voice recorders to record personal memos, lectures and dictation for playback at a later time or for eventual transcription. Because voice recorders are small, handheld devices, they are often used for meetings, conferences and other traveling events. 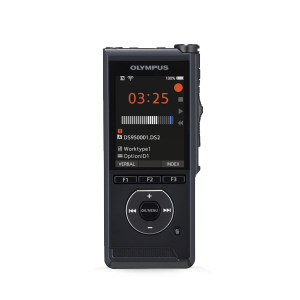 Although some people still rely on handheld cassette recorders for many of the same reasons, today’s portable audio recorders are digital, making them much more easily managed and organized. Most voice recorders are not large, nor are they heavy. Because many people carry multiple digital devices, such as a smartphone and a tablet, having a small voice recorder that can fit easily in a pocket or a handbag is necessary. However, there are some voice recorders that are slightly bigger but offer better recording capabilities or more accessories that can drastically alter the effectiveness of the device. The overall size and weight should be measured and compared to the needed abilities and typically should not be the deciding factor when making a purchase. 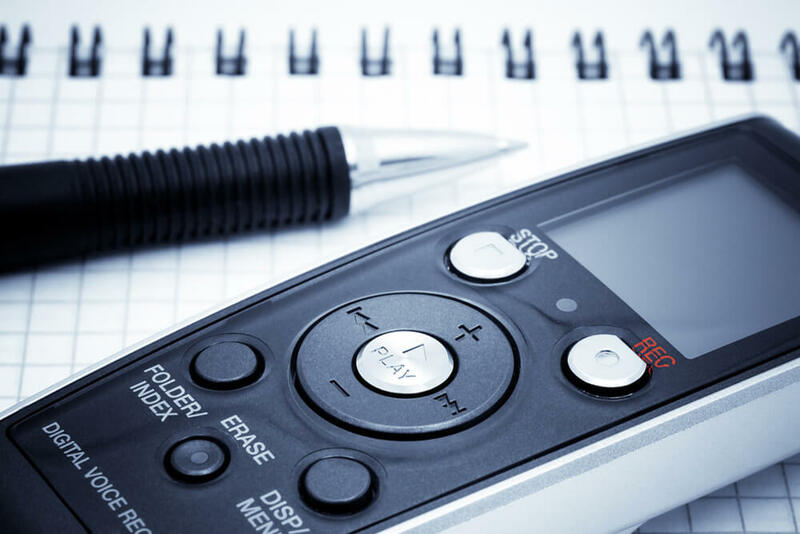 Since most people rely on voice recorders to capture a conversation, conference or lecture that will be transcribed or listened to later, having the highest level of memory is a necessity. Some portable audio recorders store the audio files internally, while others rely on a removable drive that can be uploaded to a computer or other device. In addition, recorders that offer higher levels of file compression will be able to store more or longer files. It is important to determine which option is best suited for an individual’s particular needs. Some voice recorders function much like mini recording studios, offering high fidelity sound bites with built-in editing functions. However, for most people who are recording lecture notes, dictations or other transcription practices, this level of sound quality is unnecessary. For these purposes, many of the most basic voice recorders are more than adequate. In fact, these basic voice recorders can have improved audio sound by using a microphone attachment. While the built-in microphones may provide decent audio, using a peripheral microphone attachment can drastically improve the overall sound quality. Anyone looking to record dictation or notes for later use needs to know that the voice recorder will be compatible with storage devices, such as computers and their operating systems. 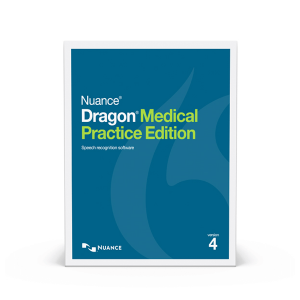 Many people assume that just because a device uses digital files that it will automatically transfer, but this is often false. Many portable audio recorders are both Mac- and Windows-friendly, but all devices should be carefully examined for their compatibility before being purchased.